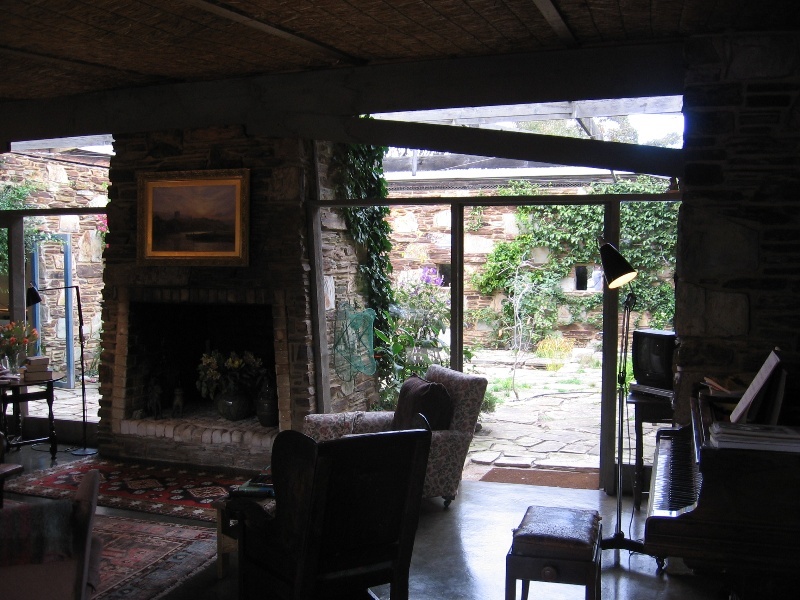 The Baker House group comprises three buildings designed by prominent architects Robin Boyd and Roy Grounds. The Baker House (1966) and the dower house, also known as the Elizabeth Sticklen House (1968) were designed by Boyd and the Library, built during the 1970s, was designed by Grounds. 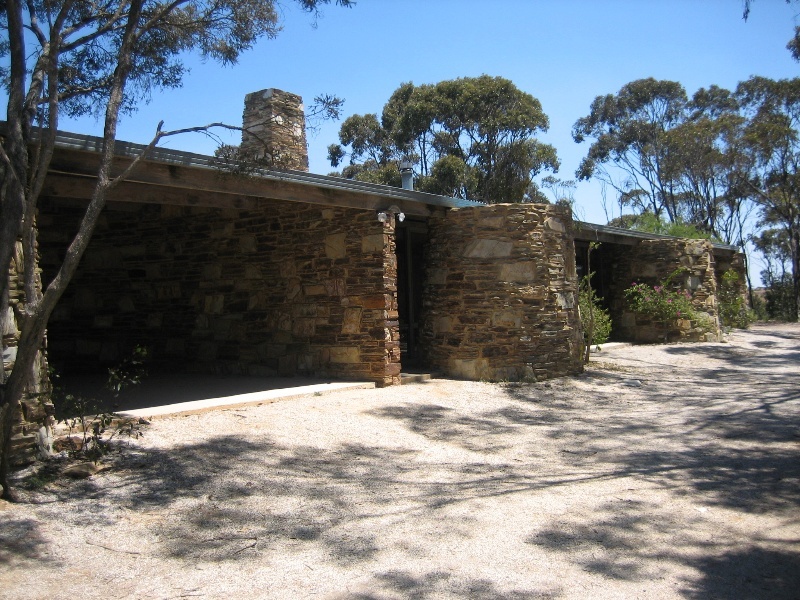 The buildings are located on a large scrubby bush block surrounded by the Long Forest Conservation Reserve near Bacchus Marsh. Michael and Rosemary Baker commissioned Robin Boyd to design their house in 1964, two years after they arrived from England. The brief for the house included a schoolroom where their children could be educated at home. 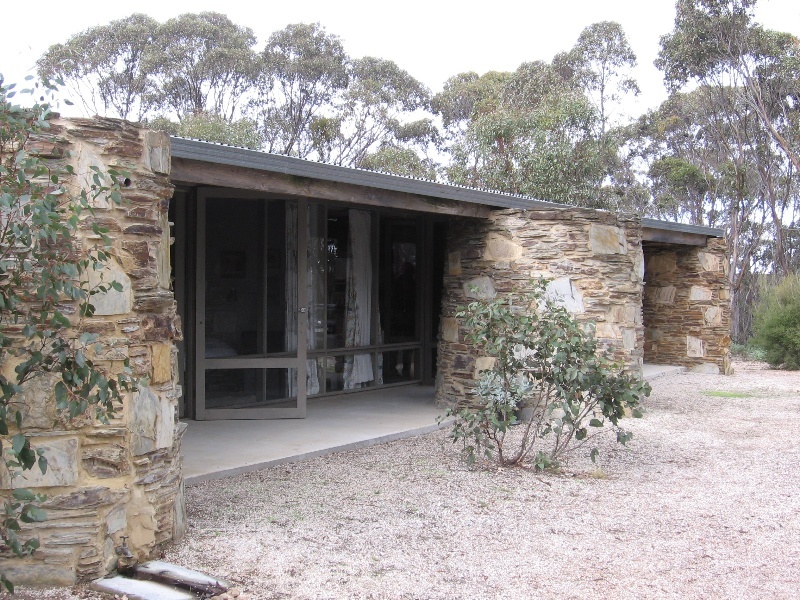 Robin Boyd (1919-1971) was an original and innovative architect and prolific writer on architectural issues. Roy Grounds'(1905-1981) career spanned the development of modern architecture in Australia from the 1930s through to the 1980s and throughout this period he was an influential figure. His early practice has been credited with introducing the International Style of modern architecture to Victoria, but his work was not limited to any single architectural expression. His best known works are the Academy of Science building (1957-59) in Canberra and the National Gallery of Victoria (1959-68). Between 1953 and 1961 Grounds and Boyd shared a partnership with Frederick Romberg (1910-1992) but this was disbanded when Grounds left to take up the commission for the National Gallery of Victoria. The Baker House is highly geometric in its form. It is a square building, built of local stone around a central courtyard with small central pond. The house is covered by a low pitched, hipped roof which defines the edge of the house. The roof timbers continue beyond the courtyard wall to meet as an open frame over the centre of the courtyard. 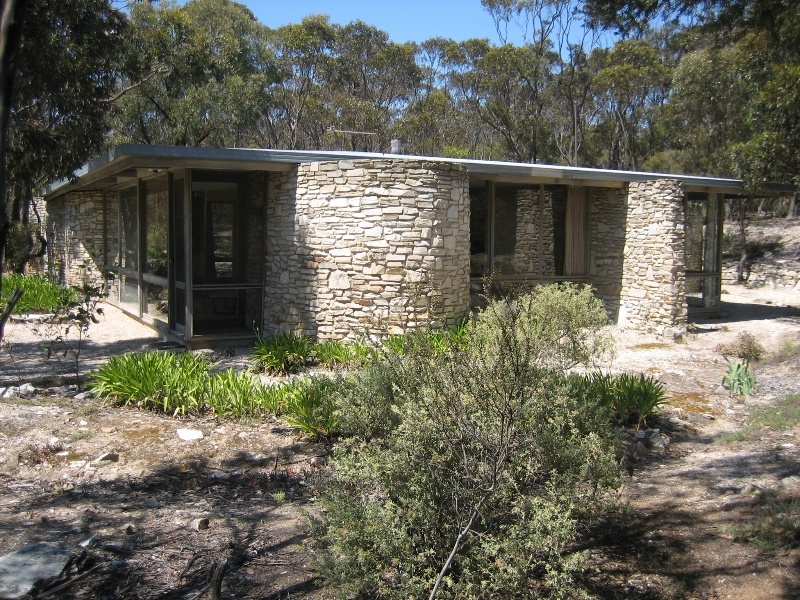 Around the house are a series of cylindrical stone structures which house water tanks and storage spaces which partially extend beyond the edge of the overhanging roof. The rooms of the house surround the courtyard with the living rooms in an open plan layout on the outer edge and the service spaces against the courtyard walls. The courtyard is open to the living room through glass doors, but the remaining three walls are solid, except for a number of small square windows from the service spaces. The dower house is a single story residence built of local stone which also sits under a square, low pitched, hipped roof. In contrast to the Baker house, the internal spaces of the Dower House are defined by three flowing free-form stone walls which curve out beyond the house's external glazed walls. The house was built for Michael Baker's mother-in-law, Elizabeth Sticklen, and was later occupied by Mr. Baker's own mother. 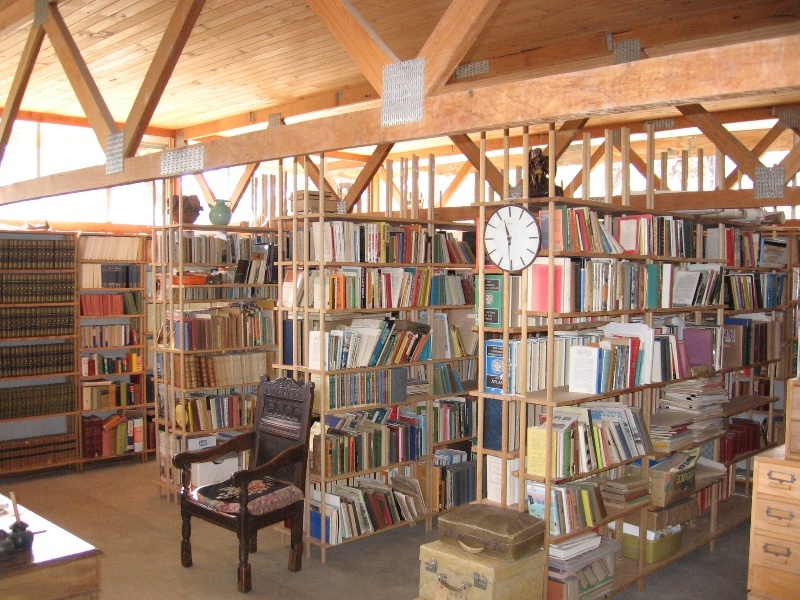 The Library was built to house Dr Baker's book collection and includes a studio space. The building is constructed of a battered wall of locally quarried stone up to door-head height. Above the wall a band of clerestory windows ring the library space. A timber frame wall, with fibro cladding and high south facing windows, under a steeply pitched skillion roof shelters the studio space. The dowel-and-nail shelving system of the library was designed by Dr Baker. 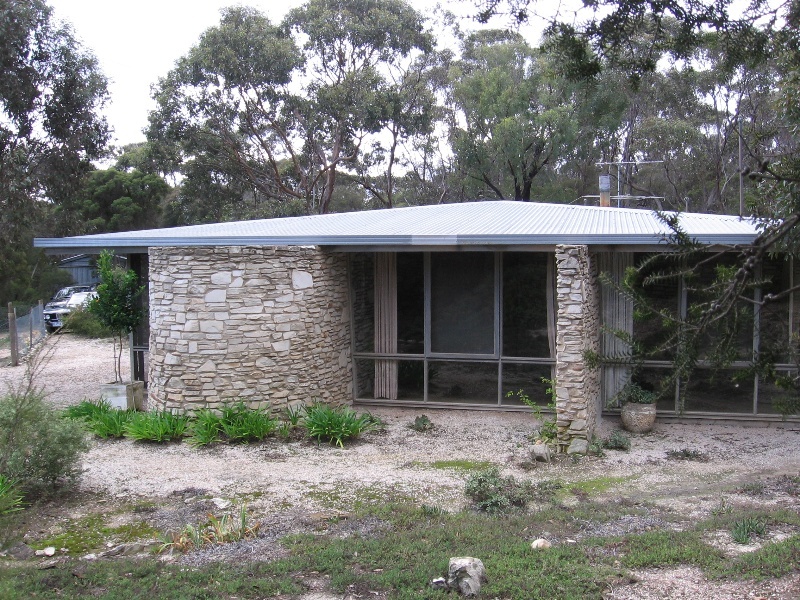 The Library shares elements apparent in Ground's own house in Hill Street, Toorak (1954) and the National Gallery of Victoria, such as the geometric form and the band of clerestory windows. The Baker House group is of architectural significance to the State of Victoria. 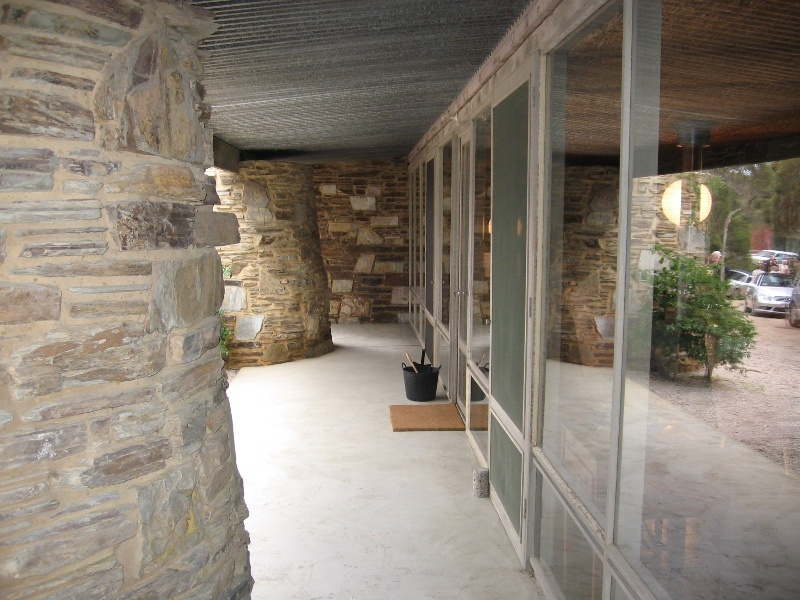 The Baker House group is of architectural significance as a group of buildings with structures designed by both Robin Boyd and Roy Grounds. The two buildings designed by Boyd, the Baker and the dower house, are particularly innovative examples of the architects' work. 1. All of the buildings marked as follows on Diagram 2118 held by the Executive Director. 2. 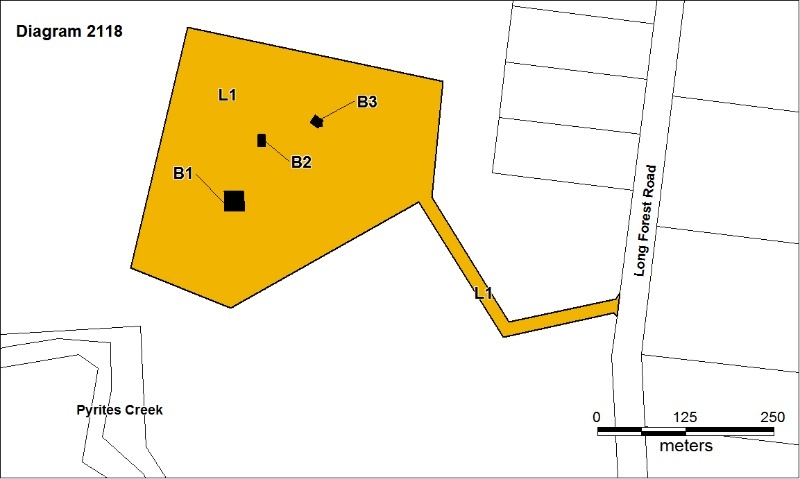 All the land marked L1 on Diagrams 2118 held by the Executive Director being all of the land described in Certificates of Title Volume 10133 Folio 757 and Volume 10133 Folio 758. In 1962 Michael Baker and his wife Rosemary arrived from England and in 1964 commissioned Robin Boyd to design this for their family. The family occupied the main house, bringing up five children, who were for a time home schooled on the property in the large studio room within the main house. Michael Baker became a noted mathematician, and developed a large library, and the family amassed a collection of furniture and objects; some were family antiques, some locally hand made pieces, and there were two pianos and a harpsichord. 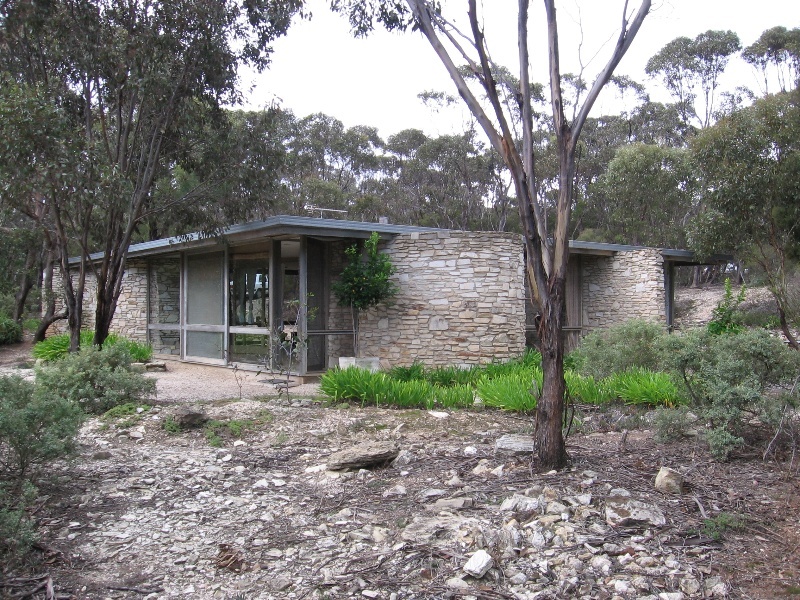 The Baker House group has buildings designed by Robin Boyd and Roy Grounds, the Baker House (1966), the Dower House (1968) and the Library (1970s).TheBaker and Dower Houses are particularly innovative examples ofBoyd's work. The following weed and vermin control activities are permit exempt under section 66 of the Heritage Act 1995, a) Weed and vermin control activities provided the works do not involve the removal or destruction of any significant above-ground features or sub-surface archaeological artefacts or deposits; Note: Particular care must be taken with weed and vermin control works where such activities may have a detrimental affect on the significant fabric of a place. Such works may include the removal of ivy, moss or lichen from an historic structure or feature, or the removal of burrows from a site that has archaeological values. Landscape maintenance works provided the activities do not involve the removal or destruction of any significant above-ground features or sub-surface archaeological artefacts or deposits. The significance of the place lies in the buildings as excellent and clear examples of the architects' work and the quality of detailing and construction. 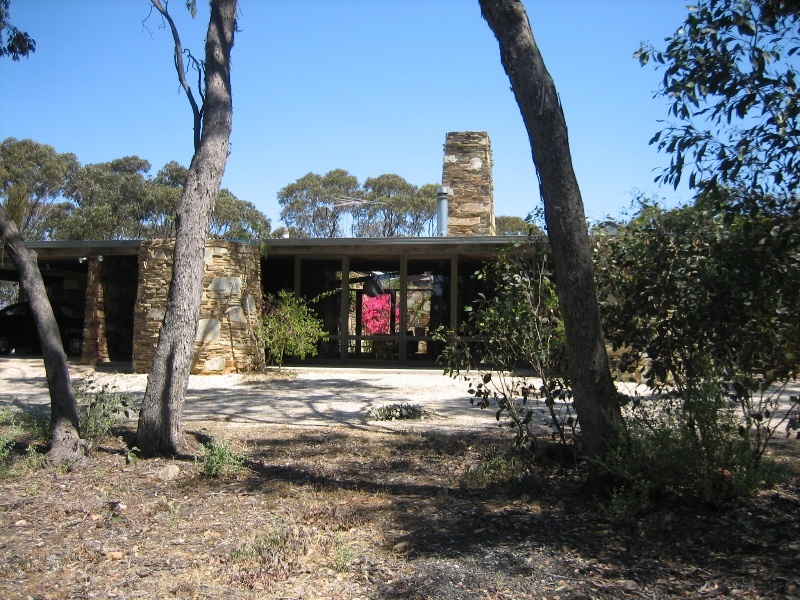 The significance of the buildings also lies in their location on the site and their relationship to each other and to the surrounding bushland. Any proposals that would alter the spatial and formal layout of the buildings should be avoided as should any proposal to alter, cover or disguise any of the materials used in the construction of the buildings. Any extensions or additions to the existing buildings should also be avoided. Minor non structural additions that have minimal visual impact and negligible physical impact on the existing structures may be possible. The buildings are located on the site in such a manner that no one building is visible from any other building. There may be scope to introduce new structures into the site, but these should also be located in such a way that they are also not visible from any other building. 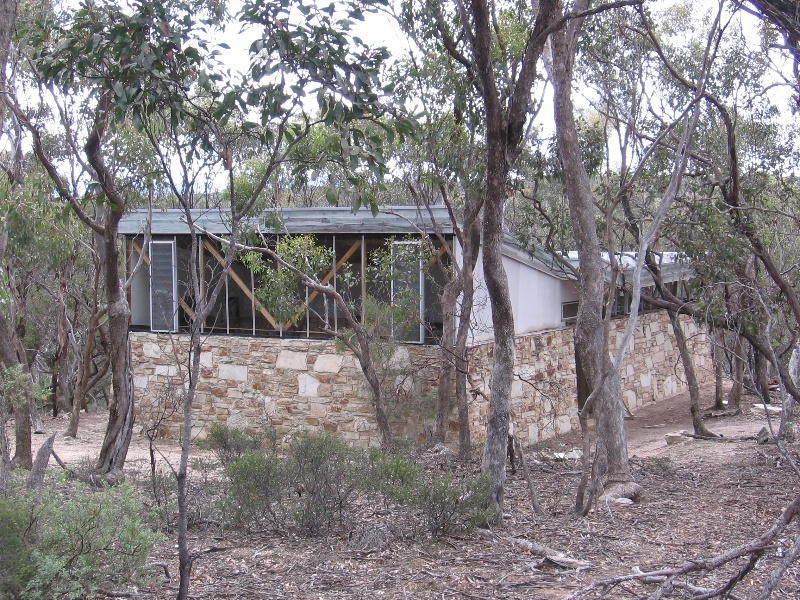 Any new structures should also respect the surrounding bushland in a similar manner to the existing buildings and only impact the surrounding bushland as minimally as is necessary.